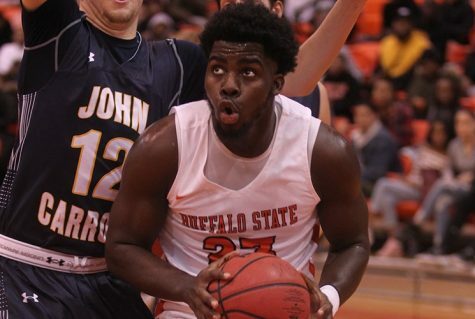 Forward Kay Grant recorded his second double-double in as many career games, but his efforts weren’t enough as the SUNY Buffalo State Men’s Basketball team fell at the hands of the Brooklyn Bulldogs, 86-83, on Sunday afternoon. Down by four with 38 seconds left, Sheldon Adams sank a contested layup and was fouled in the process. After Adams converted on the three-point play, the Bulldogs lead was just one but guard Anthony McLean answered back with a three-pointer of his own to give Brooklyn a three-point cushion. 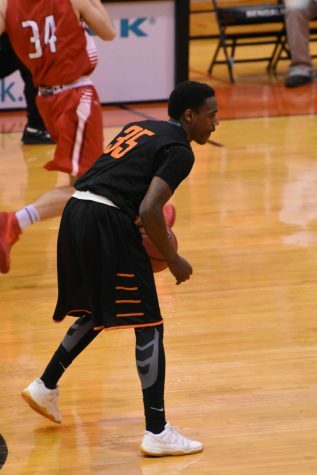 Out of the timeout, the Bengals drew up a play for Dom Grayer, who drilled eight three pointers Saturday night. Unfortunately, Grayer’s shot was well contested and rimmed out with five seconds left and Brooklyn was able to haul the rebound to secure the win. “It’s a shot I shoot every day in practice. I just didn’t make it,” said a disheartened Grayer after the game. The Bengals fall to 0-2 on the season. After a Bulldog 7-2 run to start the game, the Bengals went on a 22-14 run themselves as they neared the halfway mark of the first half. This was followed by a 9-0 run for Brooklyn as they chipped away and made it close into the intermission. 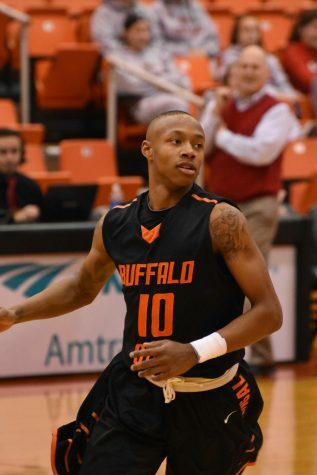 Buffalo State had a 30-27 lead with 8:41 left in the first half but failed to regain it. Into the break, McLean led all scorers with 11 points as the Bulldogs led 45-39. The Bulldogs went on a quick 4-0 run to open the second half and the lead swelled up to ten, the largest of the game for either side. But the Bengals didn’t tuck their tails between their legs in defeat. 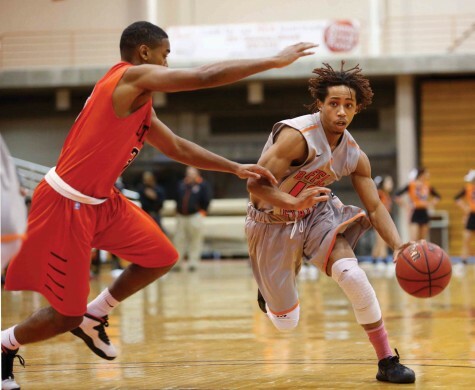 It was the more of the same from Saturday night’s bout against John Carroll when the Bengals seemed poised to make a run and take the lead, the Bulldogs would answer back and match the intensity. 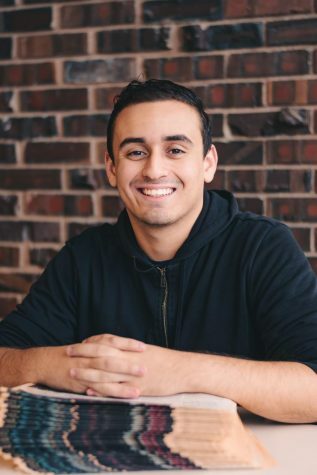 “There are some things we talked about in practice, like keeping the intensity,” Ansari said. The intensity, along with the emotions, was sky high during the game and it was felt through the Sports Arena as Bulldogs guard Alpha Bah and Bengals guard Zak Ciezki got into a scuffle on a loose ball which resulted in double technical fouls on both players. All of this simply just wasn’t enough for Buffalo State, though. Grayer led all scorers with 18 points while Ciezki dropped 13 points off the bench. Guard Sheldon Adams and Grant each had 15 points. Grant also came down with 15 rebounds in the losing effort. 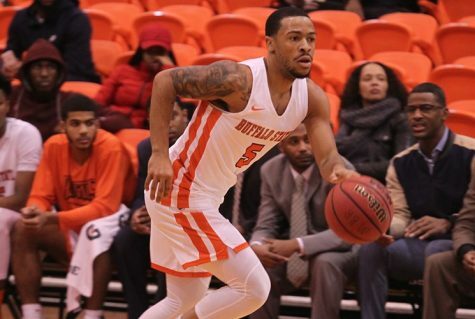 The Bengals had four players in double figures on Sunday and it could’ve easily been five as guard Ryniek Holloway chipped in with nine points. 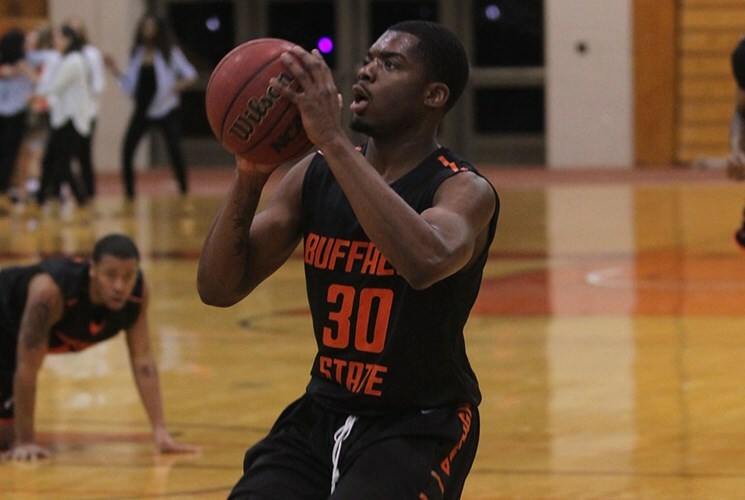 Buffalo State will be in Pittsford, N.Y. on Tuesday to take on the St. John Fisher Cardinals at 7 p.m. They’ll be back in the Sports Arena on Wednesday, Nov. 28 to take on the Alfred State Pioneers at 7:30 p.m.